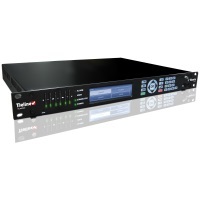 The FMX4+ is a 4W FM broadcast transmitter/exciter intended primarily for LPON service. 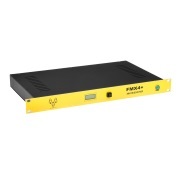 The FMX4+ is a solid state 4W FM exciter designed for FM broadcast service. The heart of the FMX4+ is a microprocessor controlled, low phase noise, phase locked loop. 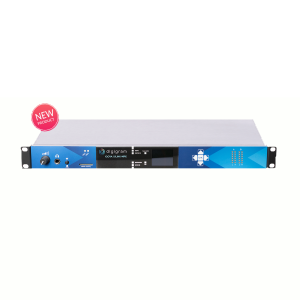 This gives excellent audio performance whilst allowing total carrier frequency flexibility. The signal from the PLL is amplified up to in excess of 4W by a broadband MOSFET stage. One advantage of this technique is a high level of tolerance to reflected power. The audio input processors incorporate Bessel antialias filters as well as peak limiters. Central to the operation of the FMX4+ is the microprocessor. 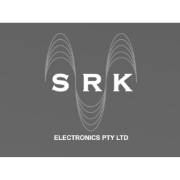 Amongst other things, the MPU is responsible for setting carrier frequency as well as the remote control functions. 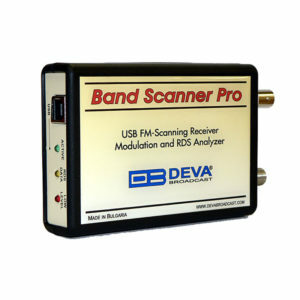 Forward power, reverse power, peak deviation and carrier frequency are able to be measured and displayed on the front panel or read via the RS232 telemetry function. All these features and more make the FMX4+ extremely flexible. Over SWR protection is standard. 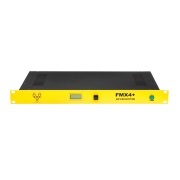 Each FMX4+ comes complete with extensive documentation covering installation, use, maintenance and trouble shooting.